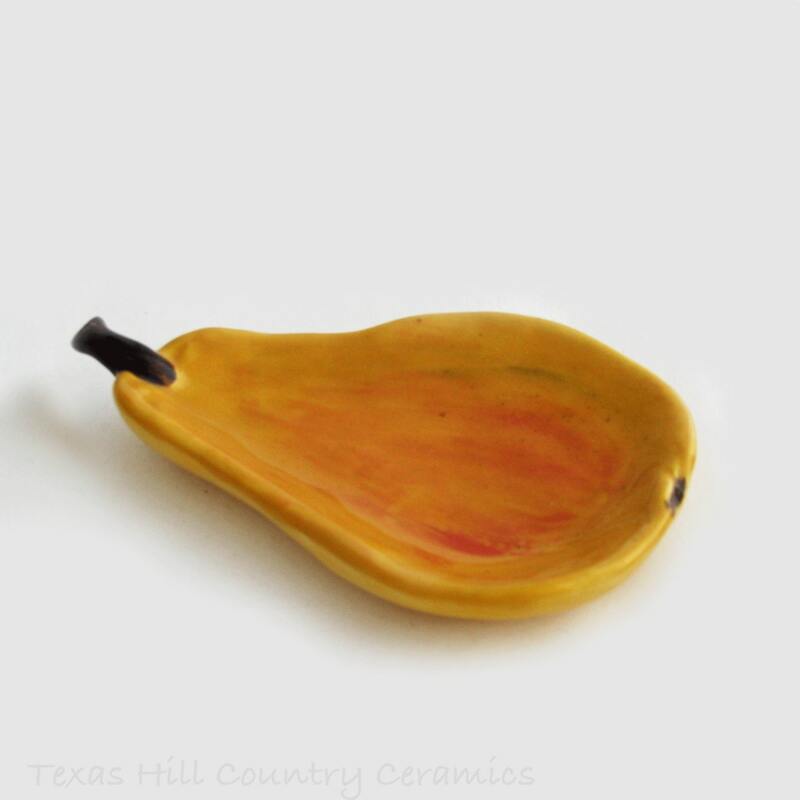 This ceramic Pear can be used as a Tea Bag Holder, spoon rest or Universal Catch All or table accent. 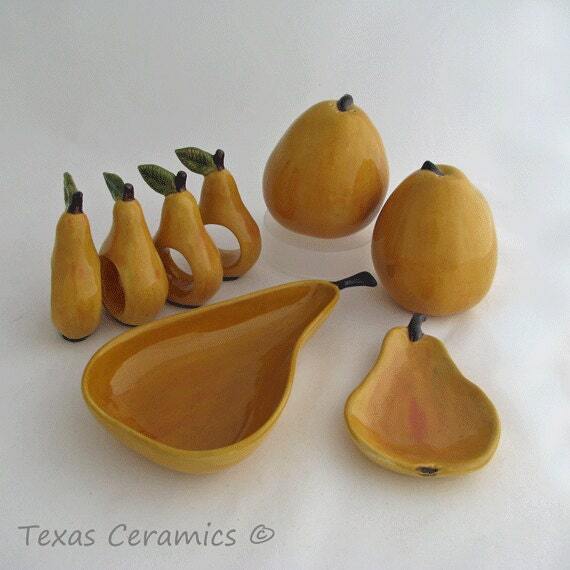 This pear is nearly life like, it's a great size and is a great way to add warmth and a touch of fruit to any setting. 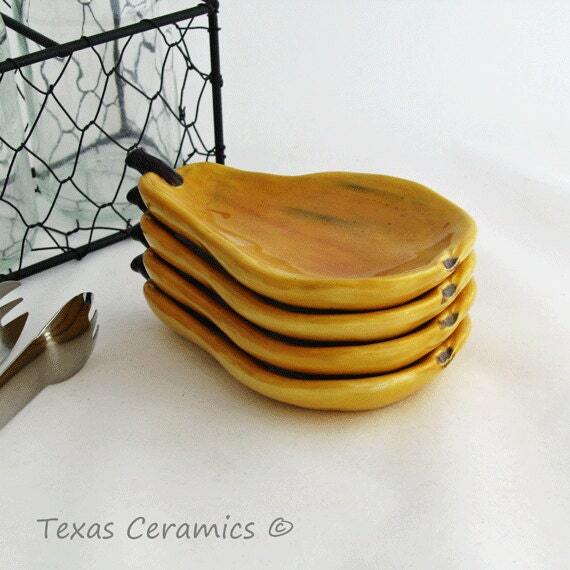 Can be used in the kitchen, dining room or others areas of the home or office. Cast from a ceramic mold with clay slip it is kiln fired a minimum of 2 times. During the finishing process I use many techniques and non-toxic products to achieve the final piece you see. It is dishwasher safe and the colors or design will not wash off, fade or peel. I have been making tea bag holder since 2004, this is just one of many styles and colors I offer. • 4 1/8 inches long. Please keep in mind each one is hand painted and has its own individual characteristics. This pear stacks well for saving space. 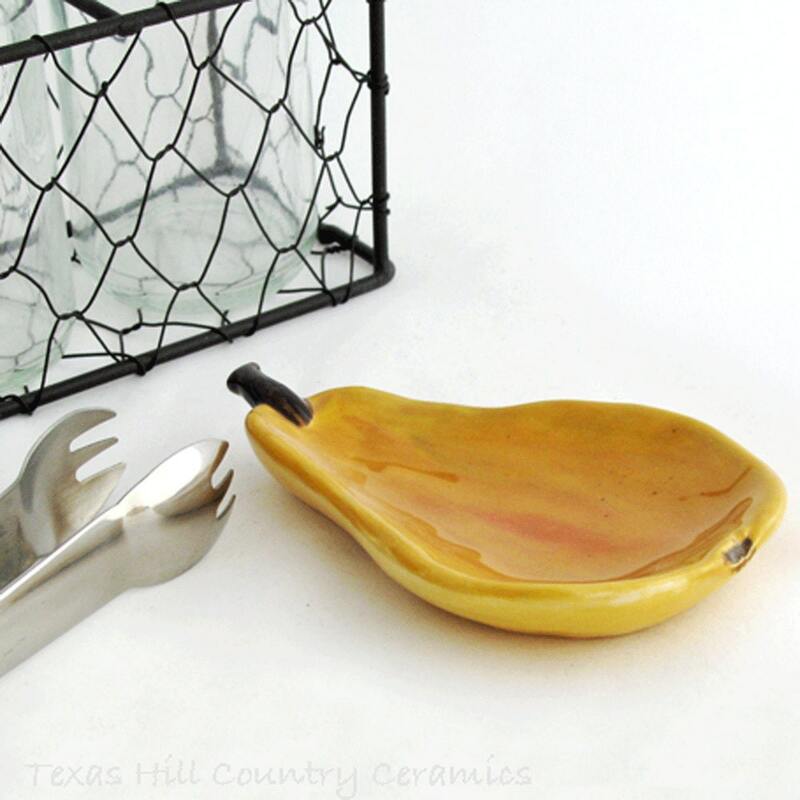 Not only does it make a great spoon rest or tea bag holder, it can also be used to hold your rings, earrings or jewelry, or use it on your desk to hold paper clips, tacks, staples, etc., or in your bath for those mini soap bars. It can also hold candy, coffee pods, dish scrubber or vegetable brush, sewing items (needles, pins, buttons, etc.,)pet treats or daily medication, incense, small candles (tea lites) dinnerware place setting accents, wall decorations, Gift Baskets, the uses are unlimited. 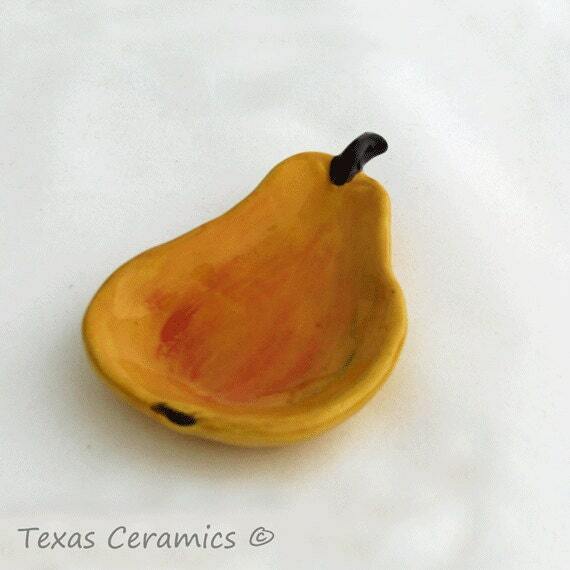 This listing is for 1 single pear tea bag holder. Coordinating items available. It was beautiful and looked just like the picture. Was a bit to small for the cooking spoons I have in my kitchen and ended up using another option. Was beautiful though. Really cute as a spoon rest.